This entry was posted on February 16, 2014 by Charles Ford. 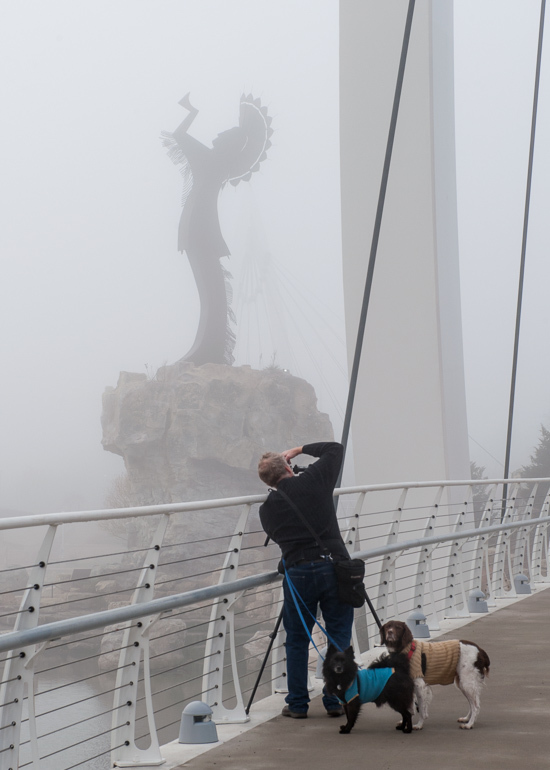 It was filed under Fog and was tagged with Dogs, Fog, Photography, Photos, Wichita. Look like the dogs are posing for you. Maybe you will have to procure a model release from them. I’m willing to bet your fellow photographer got a good shot from that vantage point, almost as good as this. Cool candid photo Charles. The sculpture in the fog looks rather fascinating. Hi Charles, Very nice photo. I am the guy in the shot. One of my students found it on the web. Didn’t even realize you had shot it but I really like it.